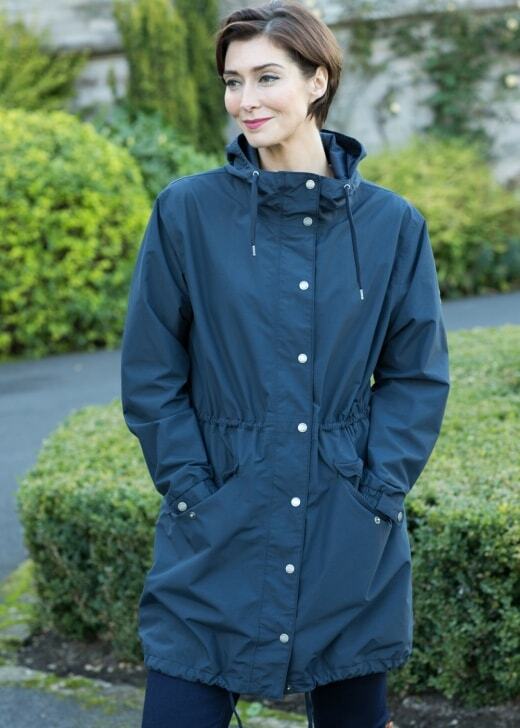 The Mornington Jacket is one of Dubarry's innovative and stylish spring summer jackets. The Mornington Jacket is one of Dubarry's innovative and stylish spring summer jackets. This longer length parka provides protection against the elements whilst retaining a subtle femininity. Both waterproof and breathable, the adjustable waist and hem allow for a sleeker silhouette.